Learn the secret to the crispiest baked chicken wings of your life! 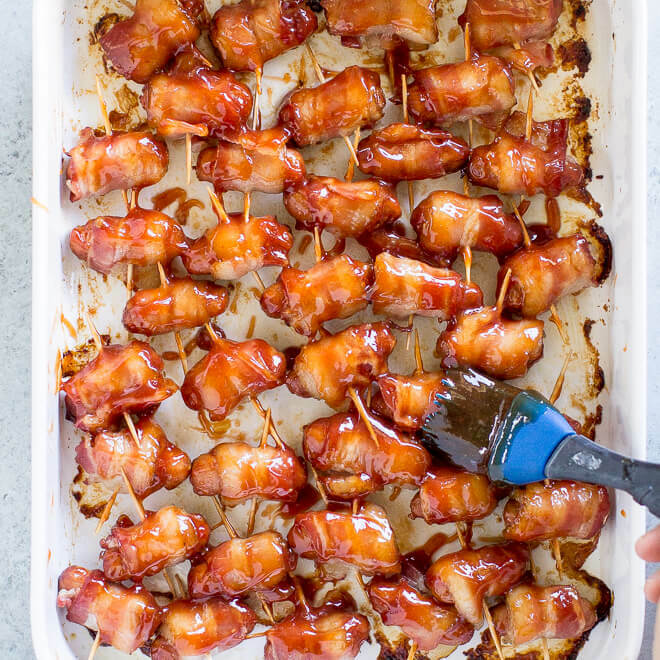 Then toss them in a sweet and tangy sauce for the most delicious Coca Cola Chicken Wings, ever. I have always identified as more of a Wing Eater than a Wing Maker. Wings are just one of those things that seem intimidating. I’d rather just show up somewhere and chow down. That all changed after my blogging friend Nagi became the unofficial queen of crispy baked wings. Her method (America’s Test Kitchen’s method), is life-changing. 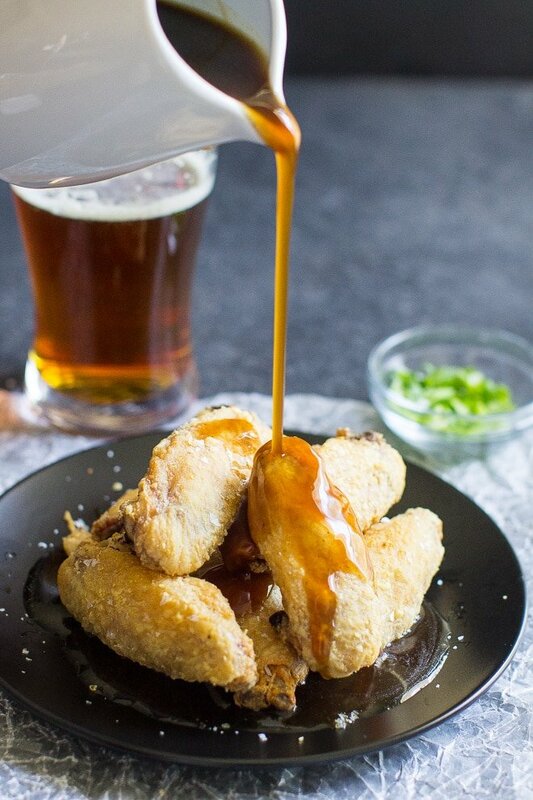 We can now all bake our way to crispy wings and sauce them with a multitude of options, including this fantastic Coca Cola sauce. Unless you buy wings and drumettes already prepared, you’ll need to remove the wing tips and separate the flats from the drumettes. There are a lot of videos on YouTube that show how to do this, but this is the one I followed. 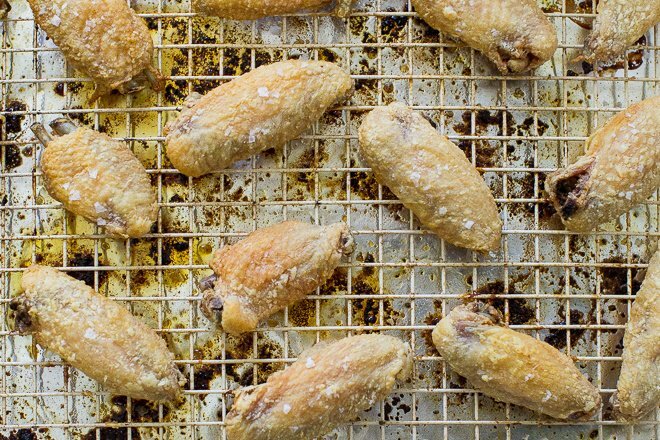 The trick to the crispiest baked wings, ever, is to toss them in a mixture of baking powder and salt. It really works. Then, bake them on a rack at two different temperatures: 250 degrees and 425 degrees. 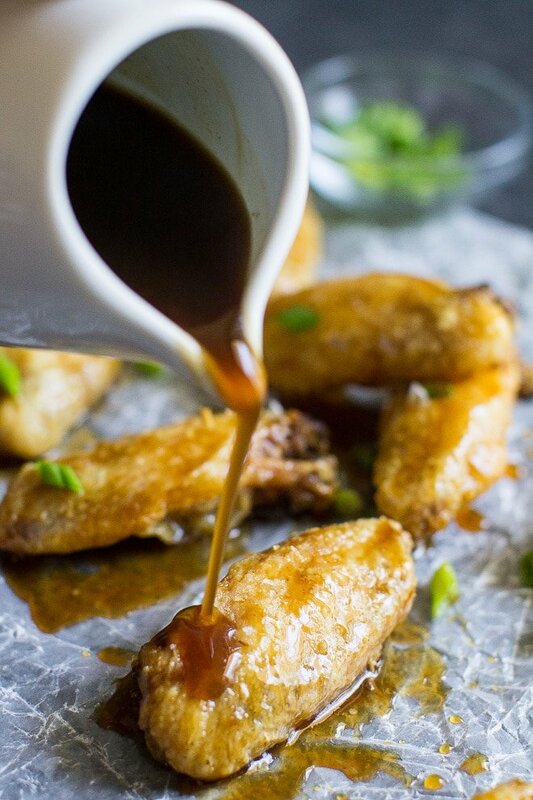 You will be surprised at how truly crispy these wings are! While the wings are baking, the sauce cooks quickly and easily on your stove top. To balance out the sweetness of the Coca-Cola, I start with bacon, onions, and garlic. Some brown sugar and a splash of soy sauce add even more flavor before I thicken the whole thing with cornstarch. Make the sauce in advance so it has even more time to thicken. Then, just toss with the wings and enjoy! 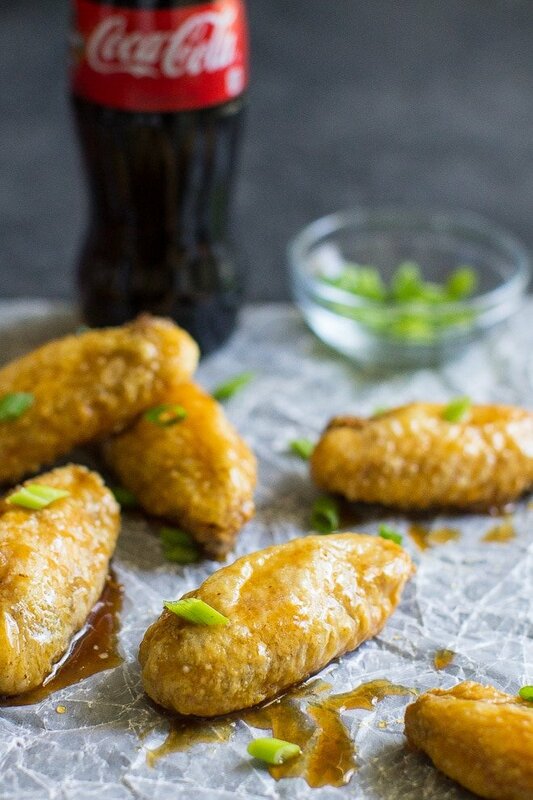 Save this Coca Cola Chicken Wings to your “Appetizers” Pinterest board! Arrange two oven racks in the upper middle and lower middle positions, respectively. Preheat oven to 250 degrees. Line a baking sheet with foil and place a wire rack on top. Coat rack with nonstick spray. Pat wings dry with paper towels. In a large zipper-top plastic bag, add baking powder and wings and toss to coat. Arrange coated wings skin-side up on rack. Bake for 30 minutes on lower-middle oven rack. Increase oven temperature to 425 degrees and transfer baking sheet to upper-middle rack. Bake an additional 45 to 50 minutes, until the wings are golden brown and crispy. Meanwhile, in a 3-quart saucepan or deep skillet, heat oil until shimmering. Add bacon and onions and fry until the onions have softened, about 5 minutes. Stir in garlic until fragrant, about 30 seconds. Whisk in Coca-Cola, scraping up any browned bits from the bottom of the pan. Stir in brown sugar and soy sauce. Transfer 2 tablespoons Coca-Cola sauce to a small bowl and whisk in cornstarch until smooth. Add back to pan and bring to a boil. Reduce heat and simmer until thickened and reduced by half, about 20 minutes. Strain through a fine-mesh sieve, pushing down on the solids to extract as much liquid as possible. Keep warm on stove until wings have finished baking. 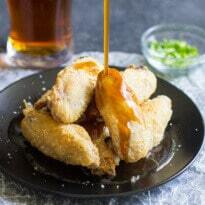 Toss the crispy wings with Coca-Cola sauce and serve. Such a great idea, Meggan. Love the flavors in these! My boys would devour them quickly. I’m not usually a big wing fan and we know I’m a diet coke girl, but these look really interesting!!! I’ve seen cola used in slow cooker recipes before, Meggan, but I love this idea of making a sauce with it on the stove top. This recipe sounds so easy and tasty! Love it! They sound amazing! And I’m sure my hubby would go gaga over them since he LOVES Coke and wings. Just made these wings for dinner! They are absolutely delicious, I loved it, my boyfriend loved it. The flavor was perfect for us, but it might be a tad too sweet for some though. I was lazy to measure every ingredient, so I just eyeballed it. Turned out amazing, I left out onion powder because I didn’t have any on hand. Thank you so much for the recipe, I’ll definitely link this to anyone who asks for it. Fixed these at Christmas Party. Everyone loved them. I’ve fixed them several times since then and when my kids come over, this is what they “order”. My grands even tried the sauce over hotdogs!!!! I made these – they were a bit sweet but still good. I made a couple of changes. I baked them for 50 – 55 minutes. After I tossed them with the sauce, I placed them back onto the foil-lined pan (without the rack). I spooned some extra sauce on top and then I placed them under the broiler until the sauce was bubbling and darkened, about 10 minutes. This made a lot of difference to us. Thank you for your tips, Nancy! 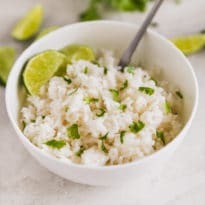 I’m due to re-test and try to improve this recipe, so I’ll certainly try out your suggestions. You’re right, they are definitely sweet. My husband has such a sweet tooth, I swear he’d eat chicken wings dipped in sugar if I’d let him! Take care. Hello Meggan! I’m a huge fan of Nagi’s chicken wings, too, as you might imagine, but I haven’t yet tried her truly crsipy ones. Must put that on the to-do list! Love your coca cola sauce ide – fits your All-American style perfectly , of course! Nagi changed my chicken wing cooking life too. Your recipe is correct, it says baking powder, but your write up above it says baking soda. Thank you!!!! Typos. Oy. I’ll go fix it right now, I appreciate you pointing that out. Thanks so much Roshani, glad you loved the wings! Thanks for reading. I. 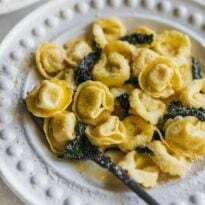 Recently used this recipe for a litthe party and everyone loved them. The flavor was a lot better then I expected and I look forward to trying other things from this site. Amazing job. Well that’s awesome, thank you Justin! I hope you find something else around here that you might like. :) Have a great week!